This Amazing Chandelier From The House Of Somil Is A Useful Addition To Your Home Decor Arsenal. 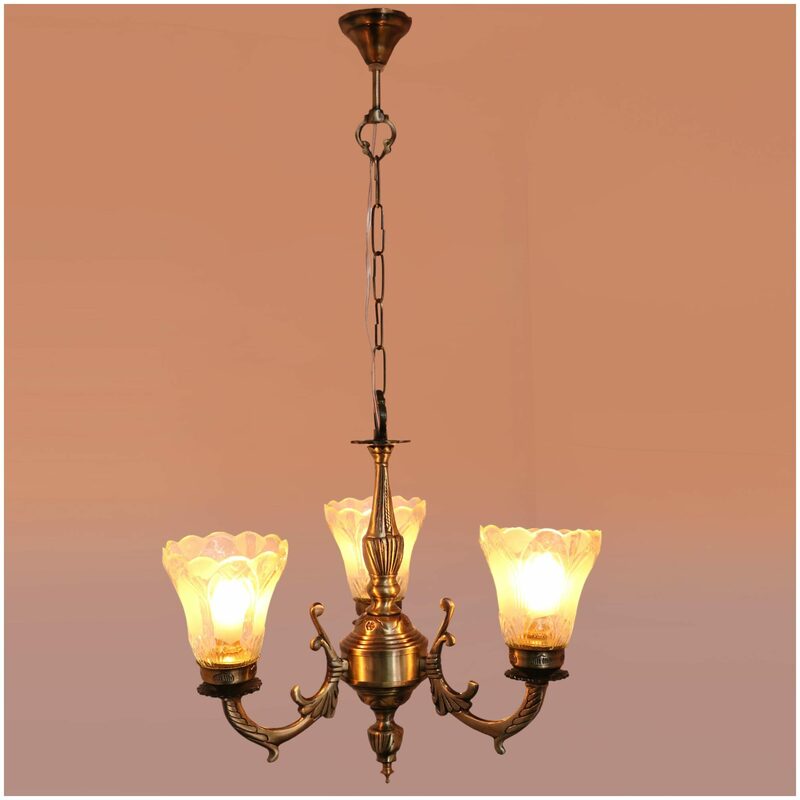 Crafted From High Quality Brass And Glass Material;This Unique Chandelier Is Long Lasting And Energy Efficient. This Chandelier Produces The Same Amount Of Light As Normal Ones And Features A Look That Is Similar To Traditional Incandescent Lights;But It Also Has A Light Weight Design And Is More Energy Efficient. Elegant And Radiant;This Chandelier Will Make A Style Statement Above Dining Areas And More. Additionally;This Wooden Chandelier Comes With All Fitting Fixture And Connecting Holders;Screws;And Three Glass Lamps And Connecting Wire Also.